At the Willinger bike world you can experience everything, mountain biking consists of. 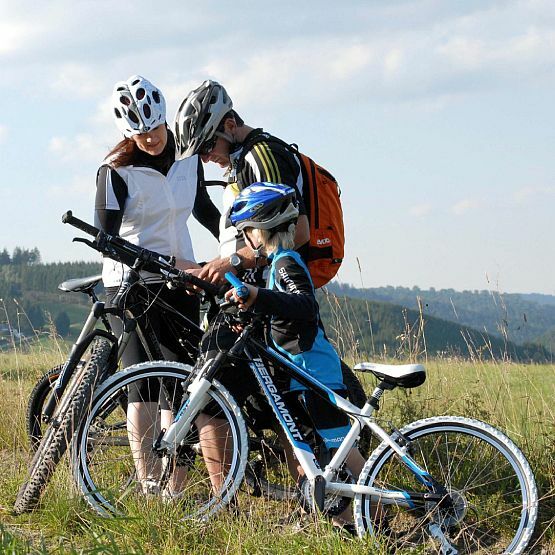 Equal, if you look for family tours with a manageable length to explore the region, for long routes to get to your limit or for challenging trails – in Willingen and its surrounding you find all of these. A great variety of tours leads through the Sauerland, with its hills and mountains. Thereby you will cross high plateaus, deep forests, beautiful valleys and green hayfields. In total 12 mountain bike tours, between 18 and 98 km, are waiting for you. Some of them are fully sign-posted and are part of the Bike-Arena Sauerland, a supra-regional trail net for mountain bikers. Those of you, who love fast and curvy downhills, are also very welcome in Willingen. At the Freeride-course (nearly) everyone will get one’s money worth. If you first want to practice your skills in jumping and steep curves, the exercise parkour behind the ice rink is the right place to go. 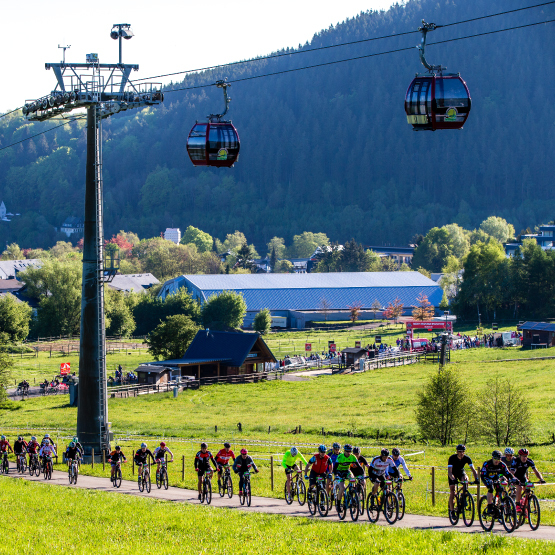 Pros and Professionals love the downhill course of Willingen. 2005 the track was, together with the Four-Cross-Course and the Cross-Country-Course, venue of the MTB-world cup. 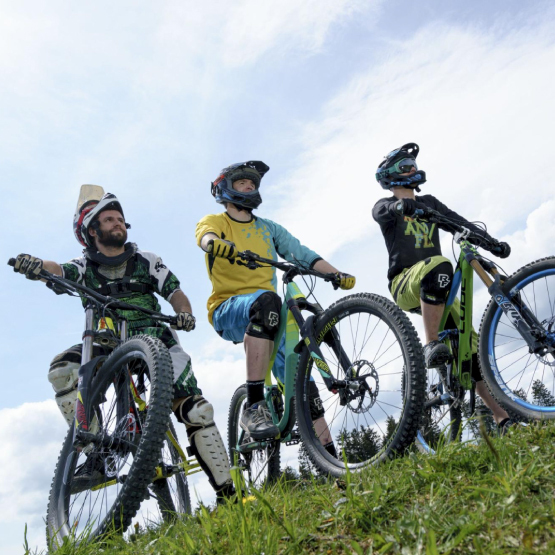 From there on, the best downhillers of the world are coming together in June for the “Wheels of Speed” contest, which is part of the yearly Bike-Festivals. The modern cableway get the drivers up the Ettelsberg in a very comfortable way. There are special prices for mountain bikers available.